If Juan Carmona had to write the book of his life, the title might be « La Belle Histoire », as Claude Lelouch film which he performed the soundtracks in 1992. The Carmona family had emigrated from North Africa to France after the exile of the beginning of the 1960s. Juan, born in Lyon, was just ten years old when his father offered him his first guitar. His passion for this instrument and his abilities do not contradict over time and his virtuosity, quickly spotted by the professionals. Become a confirmed guitarist, it will take the way in the opposite direction, to Spain, experiencing the need to join the land of his ancestors to reconnect with his roots and drink from the source of flamenco, in Jerez de la Frontera. His talent and the originality of his art will be quickly recognized in this city, considered as the cradle of flamenco. For 9 years, absorbing their knowledge in the most pure tradition flamenco, he rubbed the biggest names of flamenco such as Joaquín Grilo, Agujetas, Duquende, Antonio Canales, Chano Domínguez and many others. 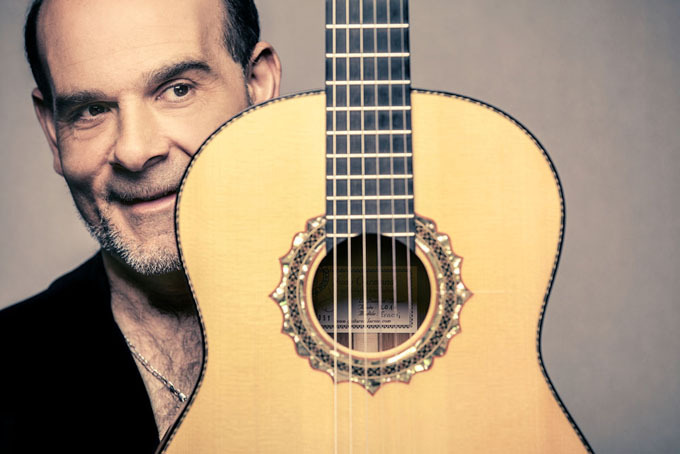 He recorded his first albums and won international awards including the prestigious guitar competition International de Jerez, finalist of the competition of the Union of Cordoba or the great price Paco de Lucia. His long list of prize and reward, it will be necessary add a unique feature: a final triumph in Spain, a consecration for this Gypsy of french origin. His return to France, he made different musical collaborations: Sylvain Luc, Larry Coryell, Marcus Miller, Jan Garbarek, Trilok Gurtu, Subramanian, Baden Povell… Each new meeting enriches his sound palette. Creative and curious, his thirst for learning seems unquenchable and brings him to what he is today: one of the most beautiful guitars on the international scene. His music, he writes it with his memory, his ears, his heart and his passion. 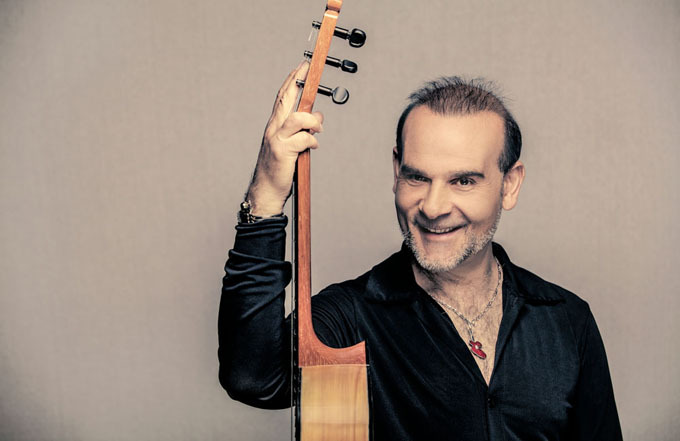 A self-taught musician, he can boast of having composed his Sinfonia Flamenca and Orillas, today performed by many orchestras in the world as the St Louis Symphony Orchestra (USA), the Russian Philarmony (Russia) or even the Orchestra National of Lyon (France). Praised by the leading figures of flamenco, Juan Carmona wanders on the air ways of the duende. 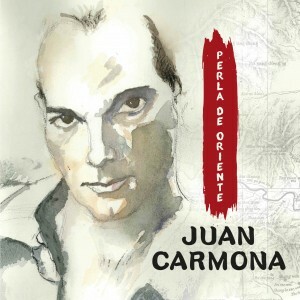 At the intersection between musical modernity and the oldest and liveliest flamenco traditions of Andalusia, Juan Carmona is an innovator, one of the most valiant links of his generation.